You must have heard of creativism – but what about CreActivism? 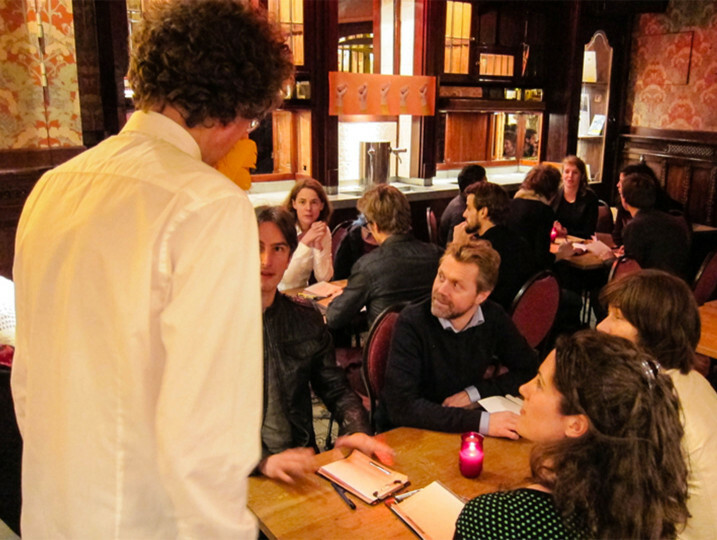 The latest event in the series of Service Design Workouts, organised by the Dutch chapter of SDN, took place on the evening of 3 March in the charming setting of the Baantjer Museum café in the centre of Amsterdam. In this – slightly unusual – edition of the workout, participants were invited to embark on a special journey of CreActivism. The evening finally arrived and around 20 people gathered to participate in the workout. As a starting point, everyone was given a CreActivistic notebook and had to pick an object that had a complementary pair (for example: a nut and a bolt, a pair of socks, etc.). This way, participants were paired up and the workout was ready to begin. 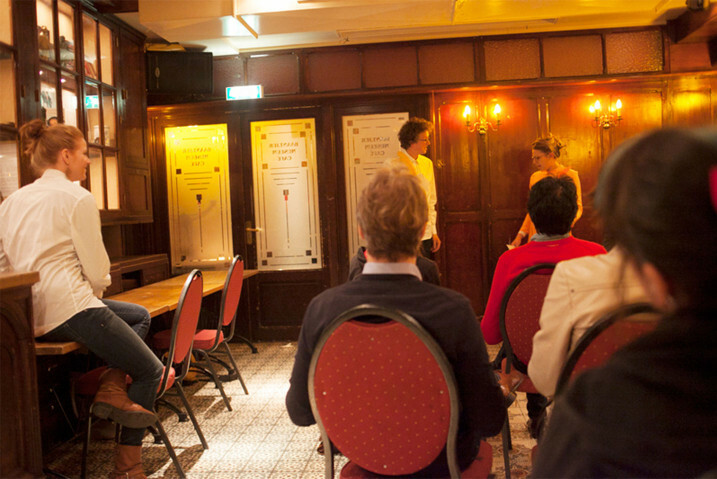 The two CreActivists, Eline Hesse, a graduate of the Design Academy Eindhoven, and Bas Raijmakers, the Creative Director of STBY, guided attendees through an interactive session of performances and reflections. They confronted them with two extremes: first, the cynicism about today’s world problems and, second, the delusional optimism of creativity and service design saving the world. Eventually, CreActivism was introduced as the middle path: asking the positively constructive and realistic question of what kind of creativity is needed to help deal with the issues that the world is facing today. 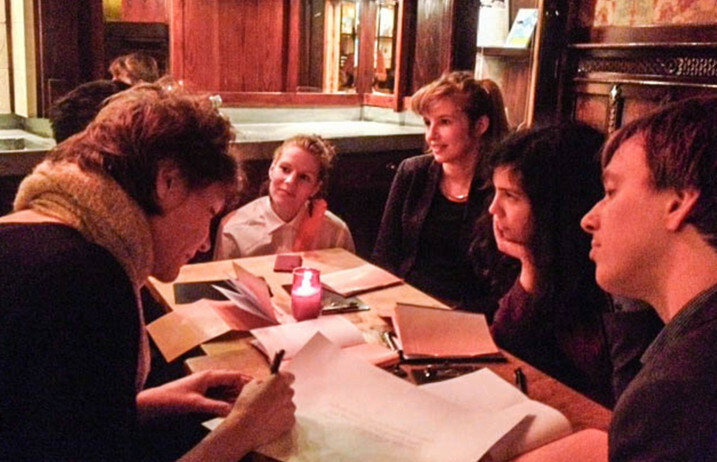 As CreActivism has an open manifest (you can also find it online), we were invited to make it our own, but also to question it and think about what it could mean for service design. As a result, lively group discussions followed. One of the groups, a mix of service design practitioners, a business student, a strategist and a philosopher, agreed that it can offer a mindset or a vision that can help give service designers a direction or valuable guidelines. 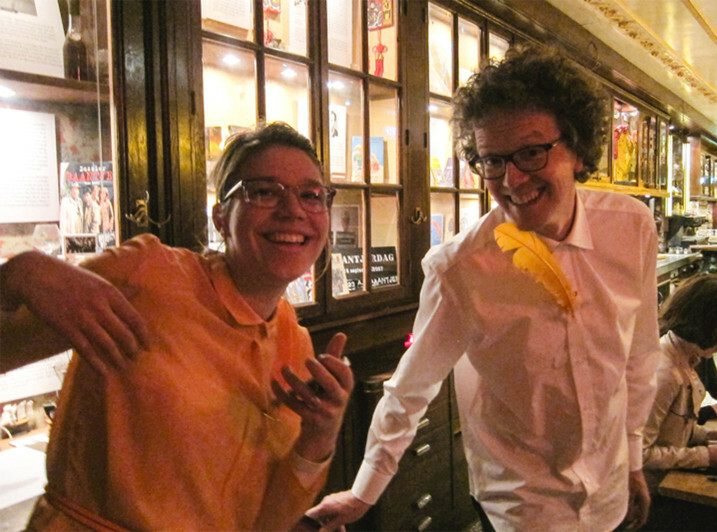 Besides, it can act as a connecting force between service design and other fields: CreActivism as an umbrella term that strives for a higher societal goal. Overwhelmed with CreActivistic spirit, participants wrapped up the workout, enjoying inspiring discussions over drinks. If you are curious to find out what CreActivism looks like in practice, head for the official website or Twitter Account.